Regal Cinemas Holiday Movies Schedule! Movie Tickets ONLY $5! If you are looking for something fun and Christmasy to do with the family, then you are going to want to check out the Regal Cinemas Holiday Movies! Thru December 23rd, every Saturday Regal Cinemas will have a Holiday Movie Classic playing in theaters! 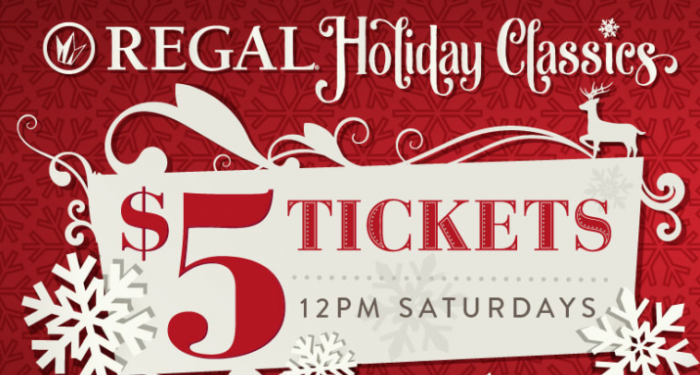 The Regal Cinemas Holiday Movies are just $5, so this makes for a budget friendly family fun outing! Make sure you don’t miss the $50 Regal Cinemas Gift Card AND $10 Regal Concessions Gift Card for ONLY $50! Each of the movies on the Regal Cinemas Holiday Movies Schedule starts at NOON. There is a different Holiday movie being played each week at Regal Cinemas. All of the Regal Cinemas Holiday Movies are family friendly movies, so you can bring the whole family for some fun! You can find a location here that will have the Regal Cinemas Holiday Movies. Plus if you are a Regal Rewards Member then you will be able to get the Popcorn and a soda for combo ONLY $5 along with your Regal Cinemas Holiday Movies $5 Movie ticket! Check out Christmas Themed treats for kids! There are so many tasty christmas treats that the kids will love and they are all perfect for any kids Christmas parties that you might have. Some of our favorite Christmas treats are Santa Hat Cupcakes and Whoville Cookies ! Also check out 16 Christmas Kids Crafts, for fun ideas that kids will love! Many of the crafts can be used as gifts too! 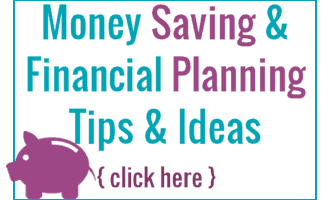 If you are looking for awesome deals all the time, family fun and more make sure you join our facebook group here ? If you are looking for tasty recipes that are perfect for family meals head on over here andjoin our facebook page to get new recipes each day!